Tite will assume the reigns of the Seleção for the resumption of the World Cup qualifiers in August. He is a significant upgrade on Dunga, as a glance at the track record of the two coaches suggests. Tite is comfortably the best Brazilian coach around, albeit the bar has been exponentially lowered over the years by a poisonous coaching culture. Impatient club owners sack managers with impunity, then compound this vicious cycle by hiring from a limited collection of old faces that deploy tired, old methods. Tite broke free Brazil’s coaching asylum during a sabbatical from the game in 2014. He scoured Europe, spending time with coaches such as Arsene Wenger and Carlo Ancelotti at Real Madrid in a bid to refresh his ideas. It has certainly paid dividends, but his appointment to the Brazilian manager’s job does not suddenly solve all of the Seleção’s issues. The talent pool remains at a generational low, levels of apathy and outright antipathy remain amongst the Brazilian people and Dunga failed to solve many of the issues that he inherited when he took over a beleaguered Brazilian squad in 2014. Here are Tite’s most pressing priorities ahead of taking Brazilian sport’s most demanding office. Uppermost in Dunga’s in tray upon taking over in 2014- reduce the team’s dependence on Neymar. Ultimately, the outgoing coach has exacerbated the issue if anything. He bizarrely decided to hand Neymar the captain’s armband, heaping more responsibility on his talisman and essentially beginning a feud with the previous incumbent of the armband Thiago Silva. Silva’s reaction was less than gracious, which may have confirmed some of Dunga’s suspicions about the Paris Saint German centre half. However, it ultimately created a needless conflict which eventually became internecine, leading to the exile of one of Brazil’s best players. In the meantime, Neymar was saddled with more responsibility and the Barca forward’s swelling ego has further inflated. Having exhausted a slew of centre forward options (more on which anon), Dunga resolved to give his captain a central role in Brazil’s front three. The additional pressure has told on Neymar, who has been suspended for nearly half of his nation’s matches over the last 12 months. Petulance and frustration have brimmed to the fore, as a lack of quality around him and a peppering of high self-regard have seen him develop a brattish edge. At his best, Neymar is coquettish and playful, perched on the precipice between mischievousness and arrogance. The embodiment of dar um jeito. He plays this role to perfection with Barcelona, but with Brazil, he too often crosses the line into irascibility. Tite will have to handle the situation with kid gloves. He is a known admirer of Thiago Silva and will almost certainly reinstate him into the team. It would probably be an idea to hand Thiago the armband and allow Neymar to focus on playing as part of a team again. I wouldn’t expect Neymar to handle that as anything other than a personal slight, but the new manager needs to prevent the current captain’s ego from swallowing the team whole. Tite is skilled at creating strong team units and of fostering good feeling among his players, reducing Neymar’s workload is a task that will test those diplomatic and tactical skills to their full extent. Diego Tardelli, Robinho, Ricardo Oliveira, Jonas, Roberto Firmino, Hulk, Luiz Adriano. Just some of the players that Dunga trialled as central players in the Seleção front-line. None sufficiently impressed to earn a sustained run in that slot. Tardelli, Robinho, Ricardo Oliveira and Jonas are all the wrong side of 30. It is fair to say that Dunga had limited raw materials in this position with which to work and Tite will inherit this issue too. He does have some young talent coming through, Dunga inducted Gabigol into the senior squad during Copa América. However, the 19 year old is still physically very slight and prefers to play from a wide position with Santos, with Ricardo Oliveira plundering the penalty area booty. 19 year old Gabriel Jesus is emerging as one of the country’s brightest young talents, but he is still raw and probably not quite ready to be charged with rescuing an ailing Brazil side. Tite’s title winning Corinthians side had a similar conundrum. The signing of Alexandre Pato proved to be a disaster, José Paolo Guerrero left for Flamengo at the beginning of last season, and Angel Romero was injured, leaving them without a convincing centre forward. Tite reduced the impact of the issue by creating a midfield “flying V” of Renato Augusto, Jádson and Elias, who rotated behind Vágner Love. The system was so fluid and so successful that even the notoriously inconsistent Vágner Love looked reborn. Tite will need to conjure a similar miracle with Brazil. With Willian and Douglas Costa as solid picks out wide, Neymar could arguably play the central role if Tite can convince him to reign in his desire to win matches single-handedly and if he can create the mechanic midfield movement that he engineered at Timão. But asking Vágner Love to make decoy runs for colleagues is not the same as asking Neymar Junior to do so…..
By their exalted standards, Brazil are working with a limited conveyor belt of players, but the U-23 Olympic side offers some hope for the future. Should they realise their potential, Gabigol and Gabriel Jesus ought to form the fulcrum of Brazil’s attack alongside Neymar for years to come. The likes of Rodrigo Caio, Walace, Luan and Rafinha possess the ability to become international regulars as they mature. Dunga’s plan for the development of this young cadre of talent was actually very logical. He allowed them the chance to incubate together in the U-23 squad and, presumably, his plan was to slowly blend the pick of the young crop into the senior squad after the Olympic games. He included the likes of Caio, Douglas Santos and Gabigol in his Copa América squad to ease their induction. Tite takes the reigns after the Olympics and will be able to benefit from some of that background work. In Gabigol and Gabriel Jesus, Tite has two of the continent’s most talked about young forwards at his disposal. Given the poverty of options available to him in the forward roles, Tite must smooth their transition into the senior squad. Both are already amongst the country’s finest forward players and Gabriel Jesus is pretty close to being Brazil’s best number 9, but that does not mean he is ready for that pressure just yet. Tite must strike the balance between upskilling them quickly without rushing their development, and heaping too much pressure onto slender shoulders. Neymar could develop his own leadership skills by helping to assimilate the new crop of talent, earning credentials as a senior statesman in the group. Interest in the Seleção is at an all-time low amongst Brazilians. An underwhelming team, structural issues within the Brasileirão disadvantaging clubs, allegations of corruption among senior CBF officials and the lack of appetite from the top brass to modernise a footballing culture that has fallen behind have all served to curb enthusiasm. Brazil’s recent exit from the Copa América was greeted with a mixture of disinterest and outright celebration by many in the country. 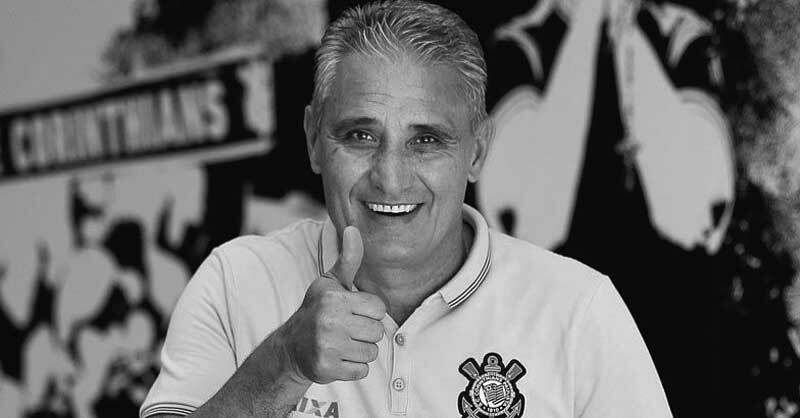 It is not within Tite’s remit to solve many of the aforementioned issues, though he did sign a petition lobbying for the removal of current CBF President Marco Polo del Nero last year, suggesting that he is sympathetic to many of these issues. However, Brazilians love nothing more than winning. Ayrton Senna and Anderson da Silva became national icons in fairly marginal sports simply by being successful. If Tite can create a united, winning team, he will go some way to healing wounds. Many of the issues are too nuanced and too distant from his power to disentangle. But Dunga’s team lacked identity and direction and as such, the results were underwhelming. Tite is an expert at creating cohesive team units. The ex Timão boss is unlikely to invoke the futêbol arte associated with the Brazil of old. He is an organiser above all, who prizes collectiveness above improvisation. In any case, he doesn’t have the players at his disposal to create the “billboard Brazil” of Nike commercial fame. But if he can create a winning team with a clear identity again and do so without kowtowing to the avarice of the CBF, he can at least begin the healing process with the Brazilian public, which has been all but doused by years of acute mismanagement at every level. Tite enjoys a healthy level of respect from fans and players alike, which already gives him an advantage over surly and divisive Dunga. I always enjoy your analysis. Well written and researched. Kudos! Shame on me for waiting so long to share this feedback.